All transactions are safe and secure with a reliable history in online purchasing behind each of our associates. 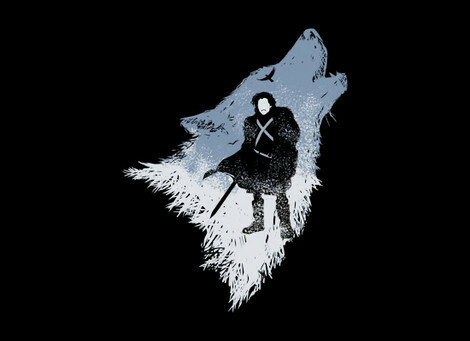 Buy the Direwolf House Stark t-shirt to own Game of Thrones clothing and merchandise. This black Direwolf House Stark Winter is Coming shirt highlights Jon Snow and the ferocious direwolf from their coat of arms. The noble family rules over the North of Westeros and has their home at Winterfell Castle, which was built on a hot spring by their descendant Brandon the Builder. Enact your own battles like those in the books and TV show with a Game of Thrones board game or cosplay. In addition to the Direwolf House Stark tee above, browse the Game of Thrones Clothing Gallery for more apparel like men's and women's clothes, kids shirts or hoodies.